The BMCC Downtown Symphony, established in 1986, is a college-community orchestra serving downtown Manhattan, and is based at the Borough of Manhattan Community College (BMCC) in Tribeca. The orchestra performs 4 concerts per year, including orchestra concerts, an annual Handel’s Messiah Singalong, and an annual Opera on the Terrace. The orchestra’s repertoire includes much of the standard repertoire, as well as unusual works from the past and new works. The conductor of the orchestra is Douglas Anderson. The members of the orchestra come from all walks of life, and range in age from their teens to their 80s. Some students, faculty and staff from BMCC are in the orchestra, but most of the players are from outside the college. 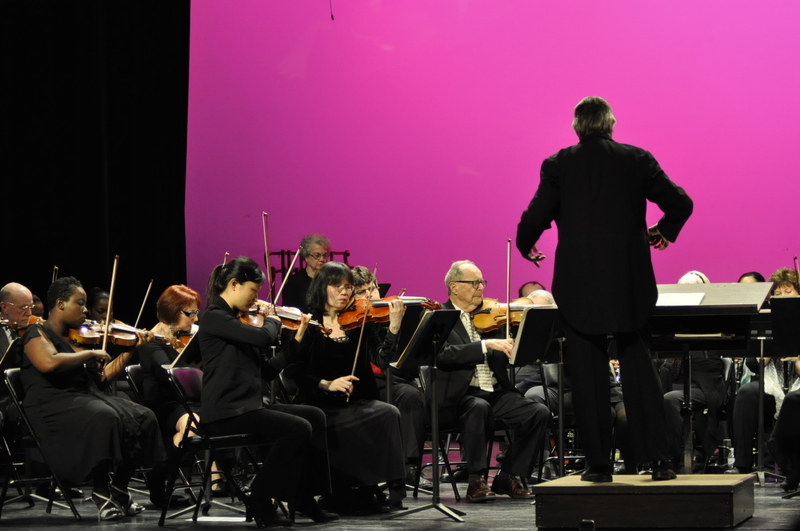 Since the orchestra is sponsored by the Music and Art Department of BMCC, part of its mission is educational: to enhance the skills of our members. The common bond is the love of orchestral music, and the desire to become better instrumentalists in an enjoyable setting. Admission to the orchestra is by audition. Rehearsals are on Tuesdays from 5:30 PM to 7:30 PM in Room F326 at BMCC Fiterman Hall, which is located at 245 Greenwich Street (and Park Place) in Manhattan. Performances are usually in Theater I of the Tribeca Performing Arts Center (at BMCC), but also occasionally in other spaces in the neighborhood and elsewhere in the city.